Hello and welcome to District 5! My name is Cara Gilliland from Mount Tabor High School and I am your Vice President of Community Service. District 5 has so much to offer whether you want to shop, explore the outdoors, or find a fun activity to do with friends! I’m lucky to live in Forsyth County on the west side of District 5. Here there is plenty to do whether you want to go shop at Hanes Mall or go on a nature walk in Reynolda Gardens. Stepping outside of Forsyth County for a second you can also travel to Hanging Rock State Park in Stokes County to explore more of the outdoors by hiking, swimming in the lake, and going on a picnic! Back in Forsyth County you are also welcome to tour the Reynolda House and get a taste of the city’s history. If you want another historical experience you can also venture to Old Salem or Historic Bethania! If you like the downtown scene, downtown Winston Salem is the perfect place for you to go where you can feel like you’re in the city without being too overwhelmed. You can go take some insta-worthy pictures in the Art District there or go grab a coffee at one of our many coffee shops like Camino Bakery, Krankies, or Camel City Coffee! I am so grateful and excited to be able to serve you as North Carolina’s Vice President of Community Service for the 2018-2019 school year! Thank you and come on over to District 5 to make some amazing memories! 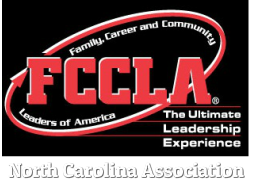 ​Make sure to keep up with everything that we are doing here at NCFCCLA on our social media pages.